Located in the northwest quadrant of Washington, DC, Penn Quarter is a mixed-use neighborhood that has come to symbolize many of the revitalization projects taking shape across the District. The community derives its name from its proximity to Pennsylvania Avenue, including the White House and the Capitol. 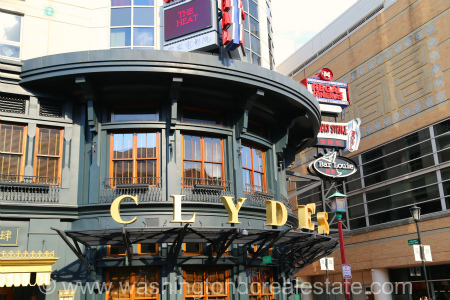 Home to the Verizon Center, the FBI, museums, theaters, and a wealth of office buildings and upscale retailers, the area attracts 10,000 residents who live, work, and play in the extended community. Read more about Penn Quarter real estate. The neighborhood spans much of the downtown/Chinatown area north of Pennsylvania between 5th and 9th Street, NW. Penn Quarter is also known for several signature condominium projects. These sleek buildings, dominated by high ceilings and walls of glass, are amenity-rich and steps away from the thriving shops and eateries. Penn Quarter is adjacent to Mount Vernon Triangle, NOMA, and Capitol Hill, and served by four Metro stations: Archives; Gallery Place/Chinatown; Judiciary Square; and Metro Center. Boundaries run from New York and Massachusetts Avenue to the north, Pennsylvania Avenue to the south, 3rd Street to the east, and 15th Street to the west.